I read a lot this month, but it was all candy, with little substance. I want to try to read something more substantial next month, though I know I am going to start with another handful of Star Wars books and the last of the Parasol Protectorate. Maybe after that I can get to some non-fiction or something with some heft. Still, getting eight books read in a month, regardless of those books substance, is no mean feat. This book seems to actually agree with my complaints about the end of the last book. 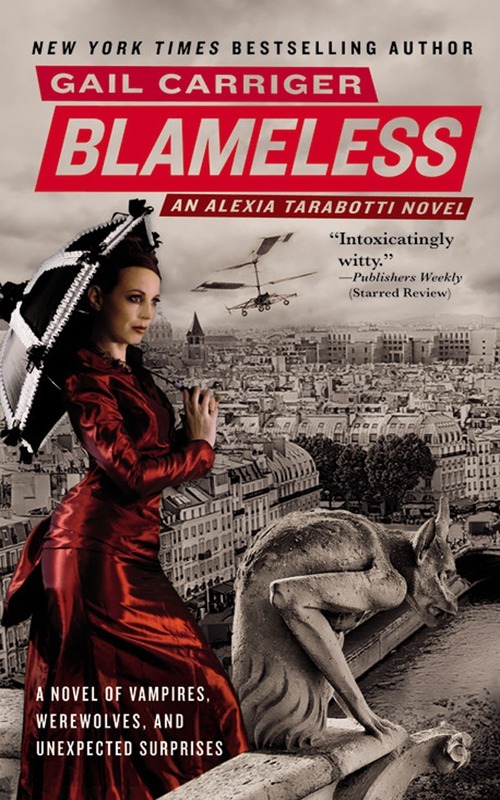 An impetuous was needed for Alexia to take off for Italy and this plot to happen, but the split between her and her husband is kind of nonsensical. Still, Alexia and Madame Lefoux going through France and to Italy is a fun road trip. For some reason, vampires are trying to kill Alexia. Without the protection of her werewolf husband, she is in real danger. 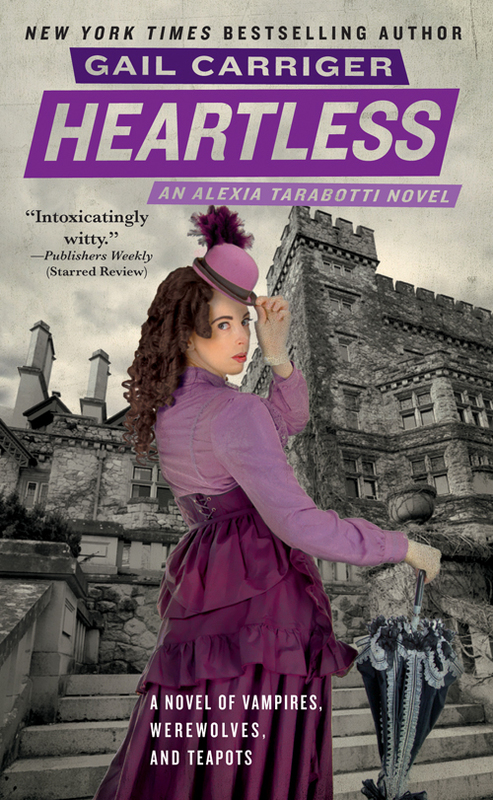 Her best course of action is to take a vacation to the continent, which would get her out of the vampire’s reach and take her to Italy, where they have knowledge of preternaturals like her and could maybe tell her why the vampires want her dead. This book really allows Carriger to fill in the world of this series, letting readers see how different countries deal with the existence of vampires and werewolves. Britain may have integrated them into to society, but they are merely tolerated in France and outright outlawed in Italy. Alexia’s unique powers make he sought after by everybody. The vampires want to kill her, the mad scientist of the Order of the Brass Octopus want to study her and the Templars want to turn her into a weapon. Without the protection of her position in the Queens Shadow Council (due to the black mark on her character) and her husband’s werewolf back she has to rely on her wits and Madame Lefoux’s inventions to save her. In the end she only really manages to solve the problems she created for herself during this book, though she does learn more about the nature of her abilities. This series continues to be delightful fun. With Alexia returned to her status quo at the end of the last book, this book again has it male and female leads together. It starts with a ghost showing up to warn her about a coming attack on the Queen. Alexia and her allies immediately jump into action to try to protect the monarch, though they have no real suspects as to who is behind this supposed attempt. The biggest problem Alexis faces in her investigation is that she is now 8 months pregnant. In order to get the vampires off her back, she agrees to let her vampire friend Lord Akeldama adopt her daughter, so the baby will grow up with a friendly disposition towards vampires. Alexia spends her time looking into the assassination attempt done by her husband’s former pack, without his knowledge, though that proves to be a disturbing dead end. Meanwhile, her friend Madame Lefoux is acting odd, seeming very stressed. Eventually it all builds to the most explosive conclusion of the series yet, an ending that changes just about everything and not necessarily to the good of the characters. These are wonderful little bon bon books, and while I only have one more I do have more from Carriger to look forward to. Another Poirot mystery. This time, an aging Poirot meets with a seemingly drugged young woman who thinks she may have killed someone. Since she doesn’t leave her name and he doesn’t know who she supposedly killed, he has little to go on. That dearth of information, and her assertion that he is too old to help, spur him on in the investigation. He, along with his mystery writer friend Ariadne Oliver, begins to unravel a despicable web of lies. The girl is the daughter of a businessman who left her and her mother to run away to South Africa when she was young. After her mother died, he returned with a new wife to take over the family business. She is also involved with a rather awful man who appears to be the on supplying the drugs. I believe this is one of the last Poirot stories and it feels like it. Not only is he frequently referred to as old, it also deals with problems that are much more modern than I usually associate with these books. This takes place in the sixties, and Poirot comes up against many problems usually associated with that decade, most notably drug use. It builds up to an ending that is both ingenious and ridiculous. This is a lot of fun. This series just feels so empty. The cast is the outline of possibly interesting characters, but there is no humanity to them; they are merely collections of quirks and skills. There is also a complete lack of tension. Things happen, but the heroes are rarely active players in the goings on. Any danger they might be in is blunted by the sheer power of magic most of the cast is capable of, though they generally choose not to employ it. They only occasionally seem to remember that they are trying to save a kidnapped child. Any time the group is stuck they call up a God and are simply told what to do. Here they are captured by yet another theoretically evil king, and he and Garion forge a sort of friendship. He wants to keep them captured, but they must escape. They again follow the trail of Zadramas, which takes them to the north, where they find an evil priest who has summoned a Demon Lord and is starting a war. Right up until near the end, the heroes do little but talk. For once, Garion actually does something, though it is something blatantly and obviously foolish. The good guys move closer to their goal, but do so without seeming to make any real progress or learning anything. At this point I am really running out of things to say about this series. I don’t like; I’ve made it perfectly clear I don’t like. Any sensible person would just stop reading. I am apparently not very sensible. Maybe it is because I received the books as a gift and feel some sort of obligation to the giver to read them. Maybe it is just my refusal to leave a book or series unfinished. (I have only ever not finished one book, the stupendously dreadful Battlefield Earth, and only one series I read more than one book in and gave up, A Song of Ice and Fire) Whatever the reason, I keep reading these. The Mallorean is not for me and nothing I have to say can really inform how people feel four books into this thing. The Sorceress of Darshiva finally has our heroes learn their destination. So far it had been a series of short stops and begging Gods to tell them the next step. Now, the end is in sight. Still, the problems of the first few books continue. The same character beats are hit over and over. The characters don’t grow or change; they just keep repeating the same bits of tired shtick at each other. Things happen, but the protagonists for the most part are observers; the plot would largely play out the same without their involvement. That changes at the very end, when Durnik does the first memorably thing in the series. This is just not good. Seeing that excellent Star Wars trailer kind of reminded me that at one time I was a huge Star Wars fan. My first inclination was to watch the movies again, but they weren’t to hand. So instead I pulled out the handful of EU novels I still own. When Disney bought Star Wars and jettisoned the Expanded Universe, fans were upset. Disney was right to do it, though. The majority of the EU is crap. Among few bright spots is the X-Wing series. This first one is fairly small and self-contained. 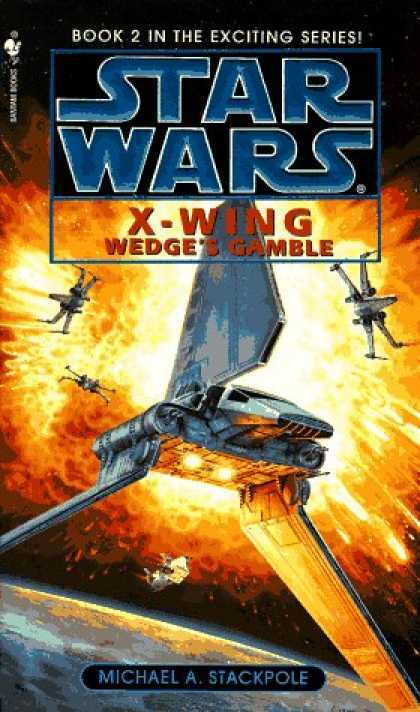 It has Wedge, a minor character from the movies, putting together a new version of Rogue Squadron. It is filled with a bunch of new characters, led by Corran Horn and Tycho Celchu. It does a good job of building up the team, though only Wedge, Corran and Tycho get any real development. The rest just get sort of sketched out. The team is essential to an operation to help the Rebellion take the first steps in liberating the Imperial Capitol. It does a great job of setting up storylines that run through the series. While the prose can be terribly grey at times, but it has some great dogfighting scenes. It also actually makes the missions Rogue Squadron goes on seem dangerous. They actually lose pilots. It isn’t great literature, but for Star Wars fans that want something that isn’t Jedi fanwank, this is about as good as it gets. By divorcing itself from the major characters of the movies, it manages to tell a fun story just set in that Universe. This is the one Rogue Squadron book I hadn’t read before this; I actually had to go track down a copy at a used books store. I did know the story, not from the book but from an abridged audio book with authentic Star Wars sound effects. Usually I find abridged works almost offensive, but I got to know this story through it without knowing it was abridged. (I was 12, what do you want?) That abridged version only barely gets the story across. This time, Rogue Squadron is taken out of their X-Wings and sent on a spy mission. It works really well. They are split up and sent in on an Imperial world to scout out their defenses. This is why some members were chosen for the team, so they could do more than just fly. It lets Stackpole spread the characters around a little more. Corran is still the protagonist and still seems a bit of an author insert. Wedge has a big role, as does Gavin Darklighter, the cousin of Luke’s friend Biggs who died in A New Hope. There is also a Dirty Dozen-ish wrinkle, as Rogue Squadron frees some criminals and sends them to the planet to cause some trouble to cover their activities. They are all sent to different parts of the planet, but are soon brought together for a mission that will give the planet to the Rebellion. Playing against them is Kirtan Loor, an old nemesis of Corran Horn’s. Through him, readers know that there is a traitor in Rogue Squadron, because of course there is. It moves a little too fast at times, but again it is mostly really fun. 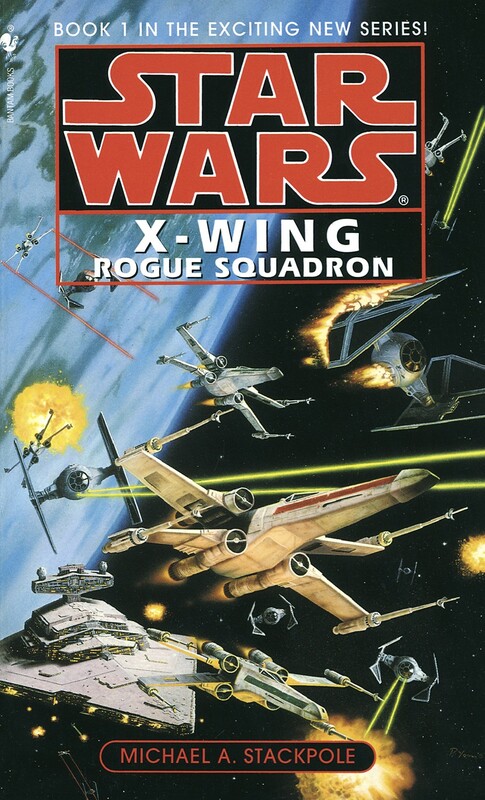 I have actually read the X-Wing: Rogue Squadron book. I liked the expansion of Wedge’s character and the opportunity to have a adventure featuring him. 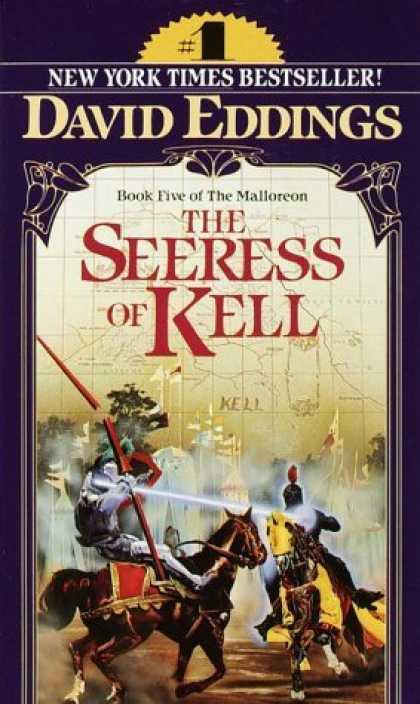 I enjoyed the way the story described the strategies and objectives of the missions in briefings, which gave the story a more effective military atmosphere, and the way the story also used the viewpoint of the Imperial Forces. 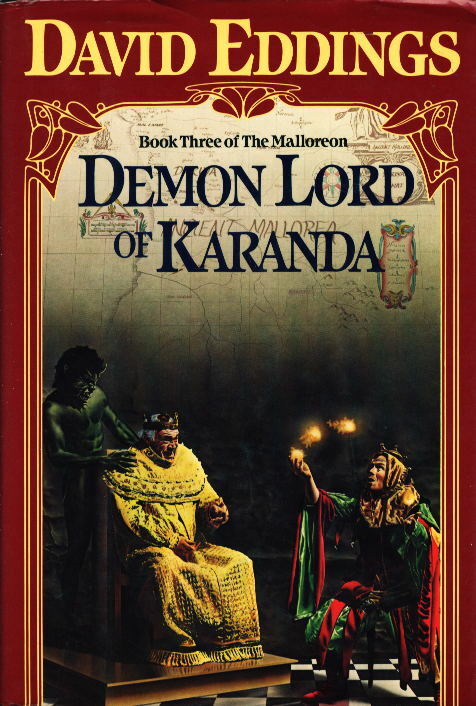 I agree that some of the characters were greater developed than others, but I also liked the character of Kirtan Loor, the enemy. I also enjoyed the way the dogfights were written, but found some of the technical descriptions hard to understand. 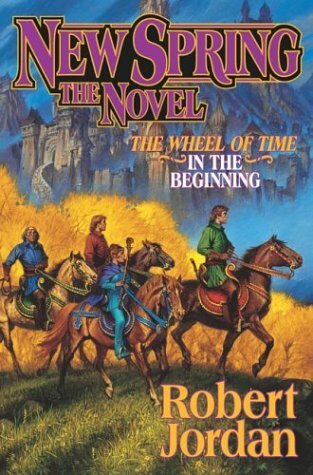 I did not read anymore books in the series, but they seemed interesting. I also enjoyed the Jedi Academy trilogy, but found other books a bit hard to follow, describing events and characters that do not feature in the films. 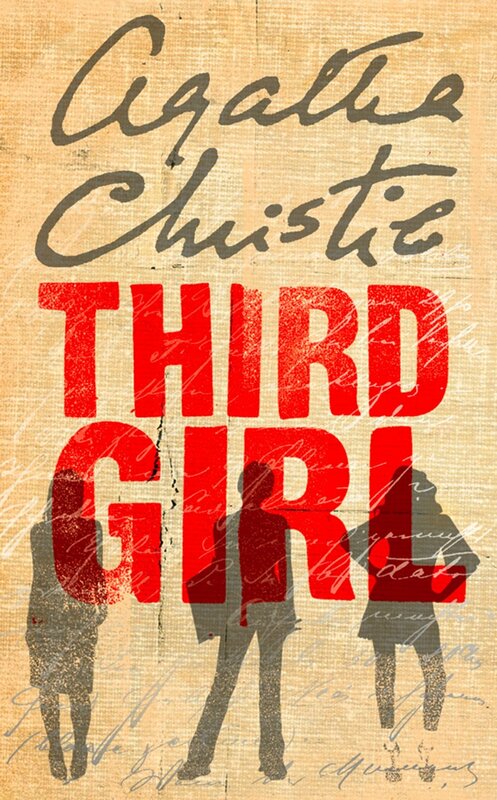 I have heard of the Third Girl book, but have not read it. I was wondering how the prim and proper Hercule Poirot (representative of the 1920’s) would act in the 1960’s.